Sesame is a flowering plant in the genus Sesamum. Sesame seeds may be the oldest condiment known to man. Indeed, the seeds were thought to have its origins in India and were mentioned in early Hindu legends. In these legends, sesame seeds represent a symbol of immortality in tales that are told. 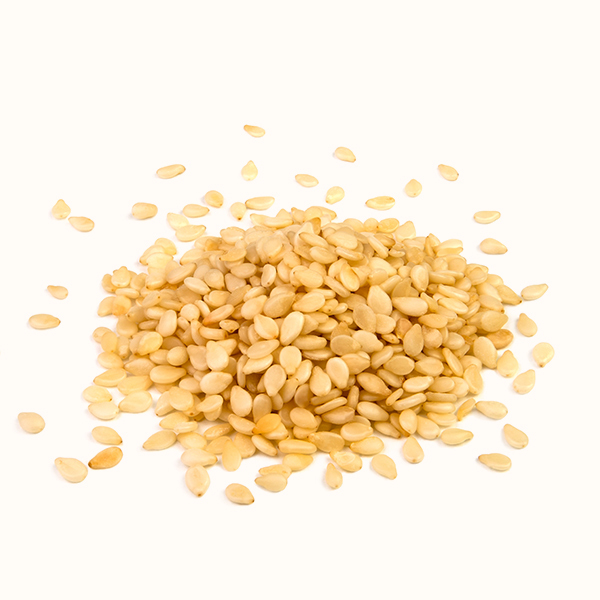 From India, sesame seeds were introduced throughout the Middle East, Africa and Asia. They were one of the first crops processed for oil as well as one of the earliest condiments. The high biological value of its protein can be put down to the fact of an equilibrated composition of amino acids, and an outstanding content of sulphuric amino acids. Sesame seeds contains vitamins, fundamentally vitamin E and B vitamins: thiamine and riboflavin. Moreover, sesame are a very good source of copper and a good source of magnesium and calcium.